Rajesh Kumar Dharua Post Graduate Scholar, Dept. of Panchakarma, Rishikul Campus (Haridwar), Uttarakhand Ayurveda University, Haridwar, Uttarakhand, INDIA. Priyanka sharma Post Graduate Scholar, Dept. of Panchakarma, Rishikul Campus (Haridwar), Uttarakhand Ayurveda University, Haridwar, Uttarakhand, INDIA. Alok Kumar srivastava Professor, Dept. of Panchakarma, Rishikul Campus (Haridwar), Uttarakhand Ayurveda University, Haridwar, Uttarakhand, INDIA. Basti is the most important among Panchakarma due to its multiple effects. Pitta and Kapha are dependent on Vata as it governs their functions. Basti is not only best for Vata disorders, it also is equally effective in correcting the morbid Pitta, Kapha and Vata. Charaka has considered Basti therapy as half of the treatment of all disease, while some authors consider it as the complete remedy for all the ailments. In modern medicine, enema is mainly given to remove the faeces from the large intestine, while in Ayurveda the review of the studies done on Basti helped in concluding that Basti is effective in treating the disease of all Srotas and especially Vatavaha Srotas. Matra Basti is subtype of Anuvasana Basti. It is administered in very small amount and hence is very convenient in present day life. All Acharyas explained about Matra Basti and considered safe and useful in many conditions where other varieties of Basti are contraindicated. It is specially used to treat various Vataja disorders. DHARUA, Rajesh Kumar; SHARMA, Priyanka; SRIVASTAVA, Alok Kumar. A CRITICAL REVIEW ON CLINICAL ASPECT OF MATRA BASTI IN VATAJA DISORDERS. 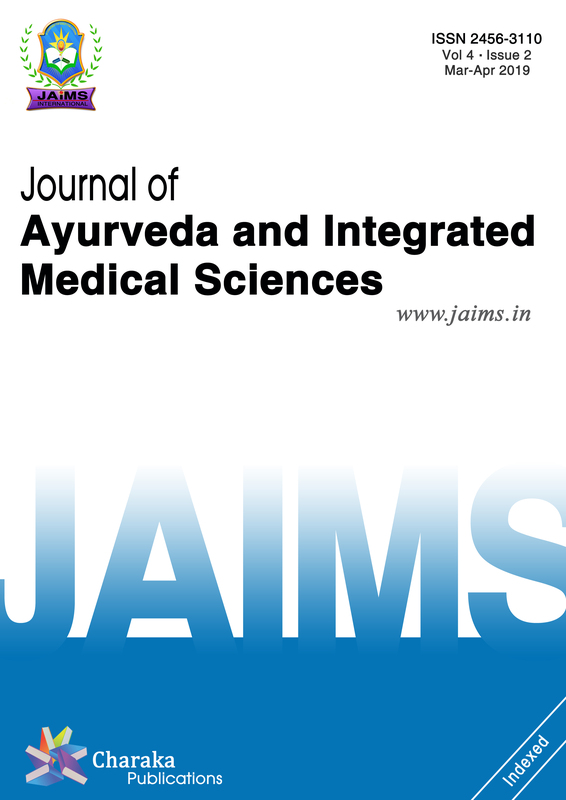 Journal of Ayurveda and Integrated Medical Sciences (ISSN 2456-3110), http://www.jaims.in/index.php/jaims/pages/view/Citation, v. 3, n. 5, p. 164 - 167, nov. 2018. ISSN 2456-3110. Available at: <https://jaims.in/index.php/jaims/article/view/650>. Date accessed: 25 apr. 2019. doi: https://doi.org/10.21760/jaims.v3i5.13837.